“We’re gonna own this place.” Disney Channel has released a new teaser for season three of Girl Meets World. 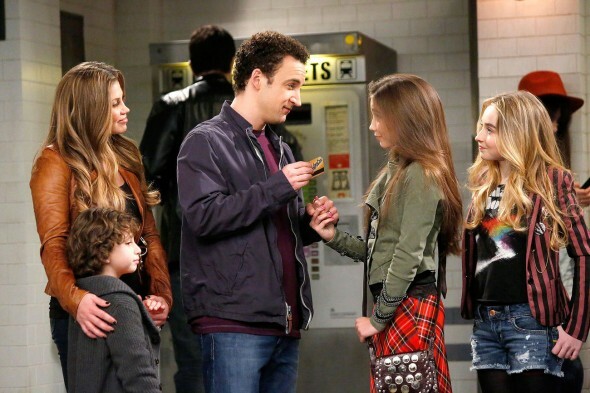 The Boy Meets World spin-off stars Ben Savage, Danielle Fishel, Rowan Blanchard, and Sabrina Carpenter. In season three, best friends Riley (Blanchard) and Maya (Carpenter) begin their first year of high school. The new season launches with a two-part premiere on June 3rd at 8:30 p.m. ET/PT. What do you think? Do you watch Girl Meets World? Will you watch season three? More about: Disney Channel TV shows: canceled or renewed?, Girl Meets World, Girl Meets World: canceled or renewed?